There are a wide range of fields already available to choose from in the database, however should you want to use fields that are not already in the database, you can set them up yourself using 'custom fields'. 1. From the main dashboard page, click the cog on the right hand side and select Settings. 2. On the next page, Under 'Configure Database Fields', click on Custom Fields. 3. Click on the appropriate tab to choose between adding custom fields for Members, Clubs or Teams. 4. 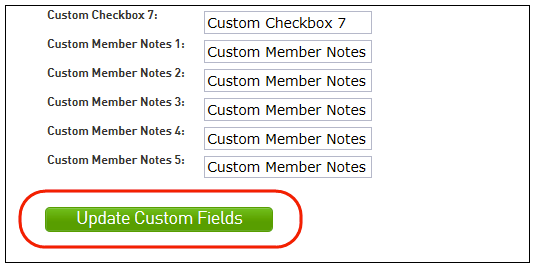 To create a custom field, click in the field that you wish to use (eg. 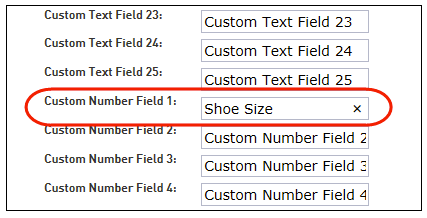 Custom Number Field 1) and type in the name that you want to give the field (eg. Shoe Size). The process is the same for all types of fields except for 'custom lookup fields', for which the options that appear in the drop down list also need to be set up. 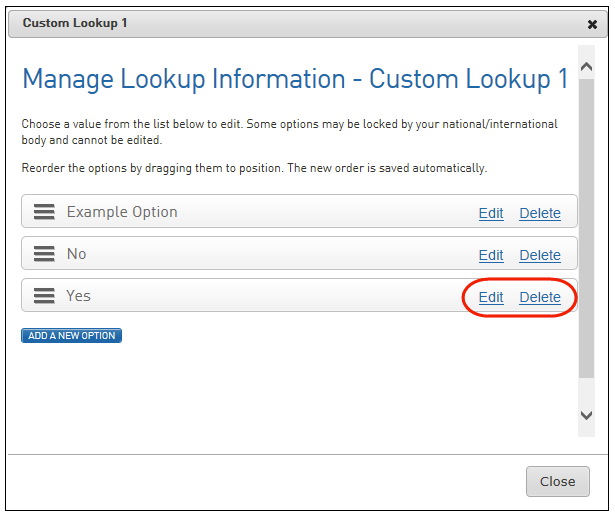 Steps 5 - 10 take you through how to set up Lookup Fields and their associated drop-down lists. 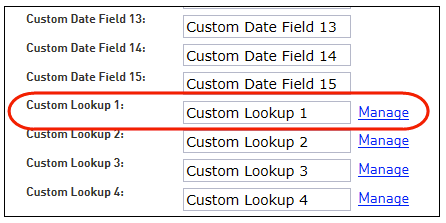 If you do not need to set up lookup fields, skip to step 11. 5. 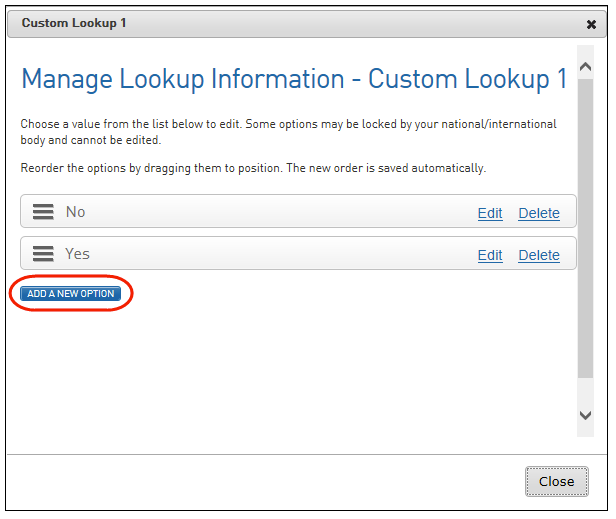 To set up a custom lookup field, scroll down to an available custom lookup field and type in the name you want to give that field. Then click on the Manage link next to that field to add the lookup options. 6. Click on Add a New Option. 7. In the Name field, type in the name of the record you wish to add, then click on Update. 8. You will be returned to the list of records for the lookup field. The newly added record will appear on the list. 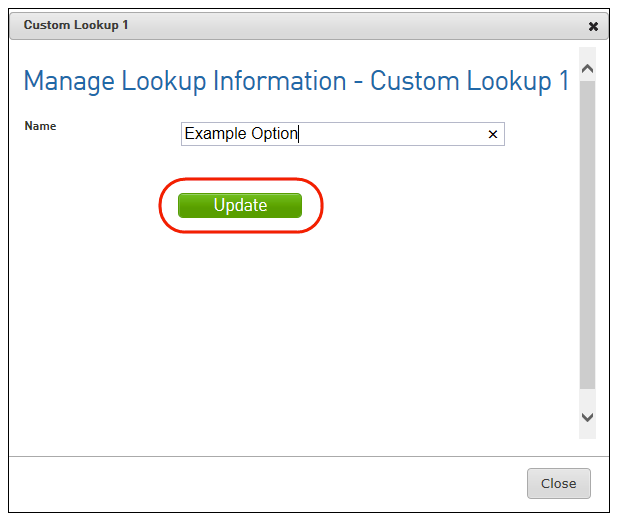 Continue to add all of the required lookup options for the field (repeat steps 6 and 7). 10. When you have finished adding all of the lookup options for that field, click on Close. 11. When you have finished setting up custom fields within that tab (Member, Club or Team Custom Fields tab), scroll to the top or bottom of the screen and click on Update Custom Fields. 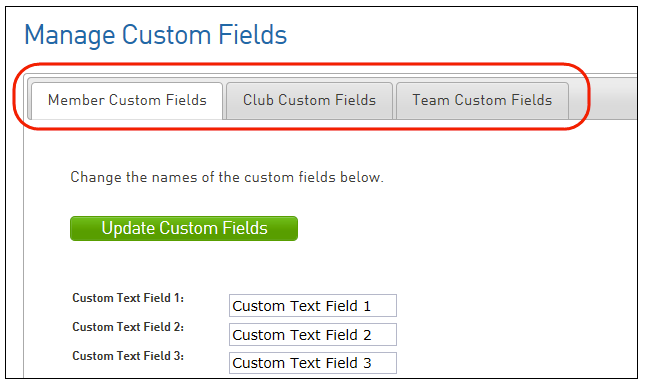 If you need to set up custom fields for clubs and/ or teams, click on the Club Custom Fields or Team Custom Fields tab and repeat the above process. Note: If you are a club that needs a custom field please contact your association.